A few years back I was given one of those special all-in-one pans where you could prepare a whole meal in just one pan. It included a steamer basket, a special lid, and a VHS tape with a stack of recipe cards… My friend most likely purchased it from an infomercial, and I have since pawned it off on someone else during one of my many moves. One recipe I did enjoy from that unique pan was a breakfast pizza. It had hashbrowns for the base with eggs, cheese and sausage on top. 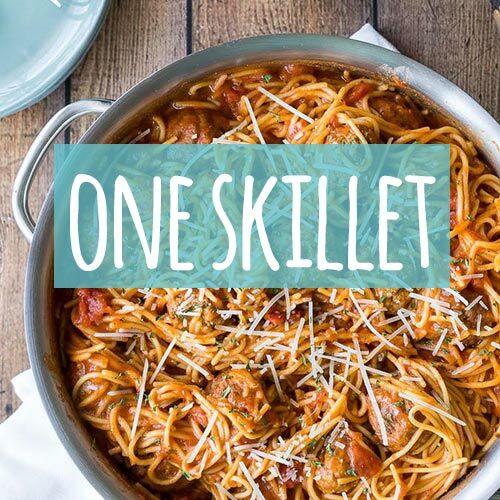 All made in one pan – mind you! Special. Anyways, the other day I got to thinking about that tasty breakfast and I thought why not make my own Sausage, Egg and Cheese Tater Tot Breakfast Casserole? So I did. 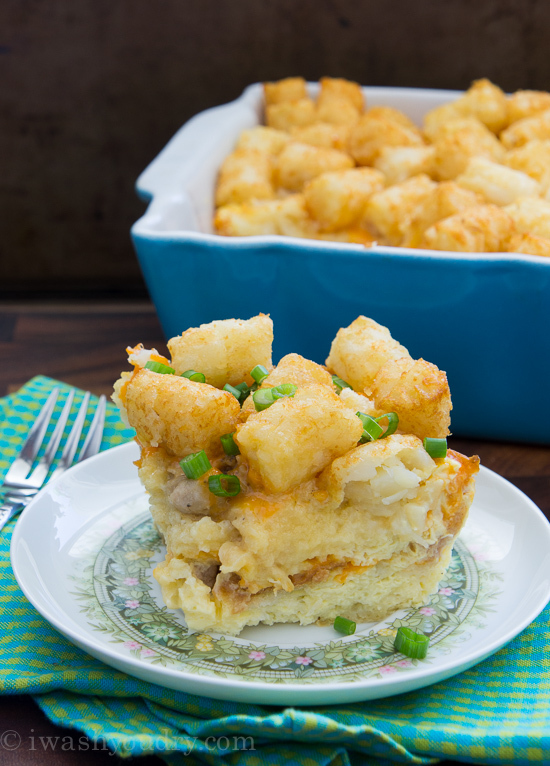 This delicious, savory breakfast casserole is perfect for entertaining a larger crowd for brunch or maybe when family comes to visit? I know I’m planning on remaking this during the summer when we’ll have some visitors for a week. 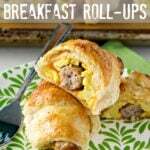 Here’s a bonus – it can easily be prepared the night before and popped into the oven in the morning for a no hassle breakfast! 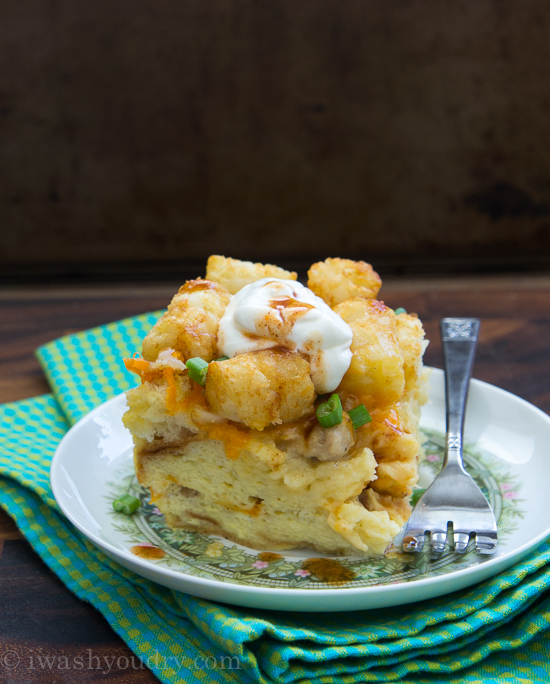 This casserole is sort of like a bread pudding, but in a savory fashion. 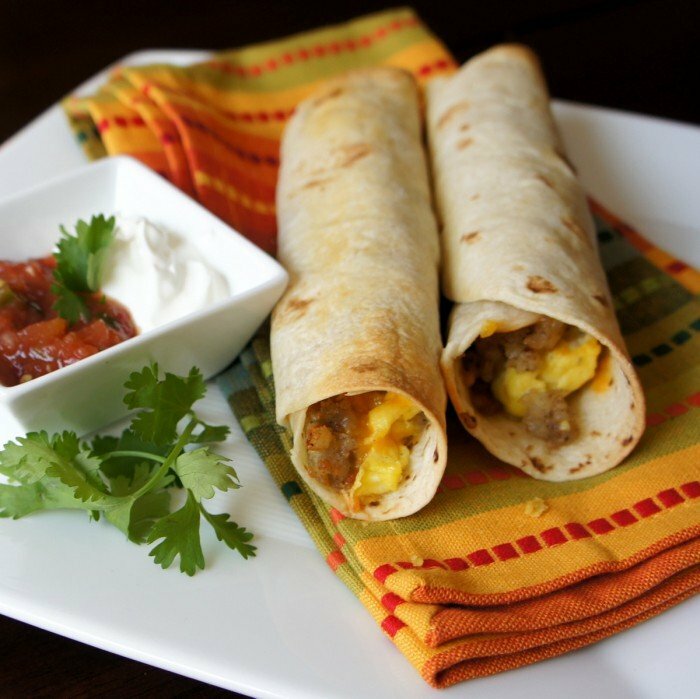 Cut up a bunch of day-old bread and layer it with sausage and cheese, then pour the whisked eggs over top. Let it sit overnight (or you can use fresh bread and bake right away). I especially love the layering, it means there is plenty of cheese and sausage all throughout and not just on top. I would serve it with some freshly sliced green onions, a dollop of sour cream, and a few dashes of hot sauce. 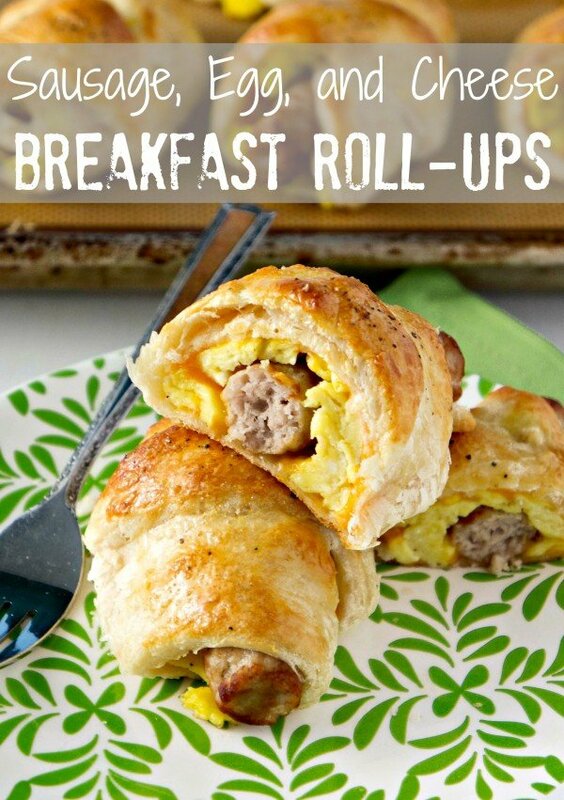 It’s a filling breakfast your whole family will love! We even wrapped some of this casserole up in tortillas the next day for a breakfast casserole taco! 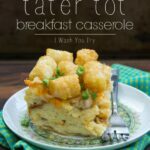 Sausage, Egg and Cheese Tater Tot Breakfast Casserole is an all inclusive dish comforting dish that everyone will love! 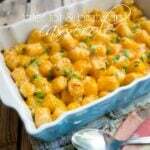 Lightly spray a 9″x13″x2″ casserole pan with non stick spray. Whisk together the eggs, milk, dry mustard and salt until combined, set aside. Fill the bottom of the casserole dish with half of the crusty bread. Then top with half of the cooked sausage and half of the cheese. Sprinkle with half of the black pepper. Repeat with the remaining bread, sausage, cheese and pepper. Pour the egg mixture all over the casserole dish. Cover and place in fridge for 8 hours. 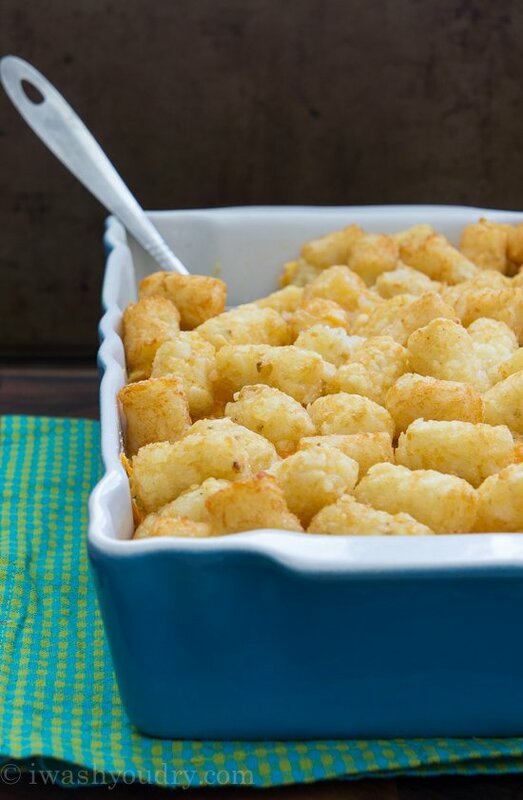 In the morning preheat the oven to 325 degrees F.
Top the casserole with the tater tots in an even layer and bake for 60 to 70 minutes or until the center of the casserole is set. Let sit for 10 minutes before cutting. 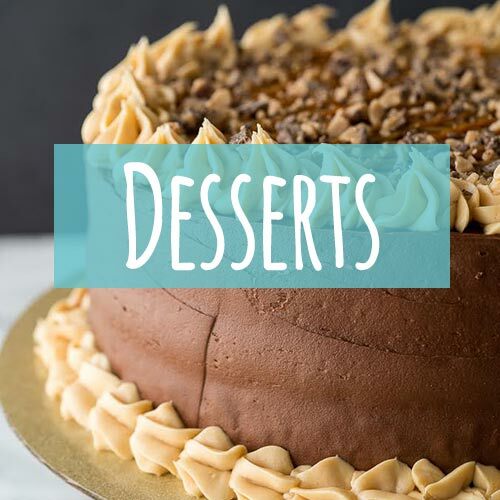 Serve with the optional toppings if desired. Enjoy! If you want to make this casserole without the overnight directions, use fresh bread instead of crusty bread. Allow it to sit for 10-15 minutes to soak up the egg mixture before topping with tater tots and baking. Do you cover this to bake it? 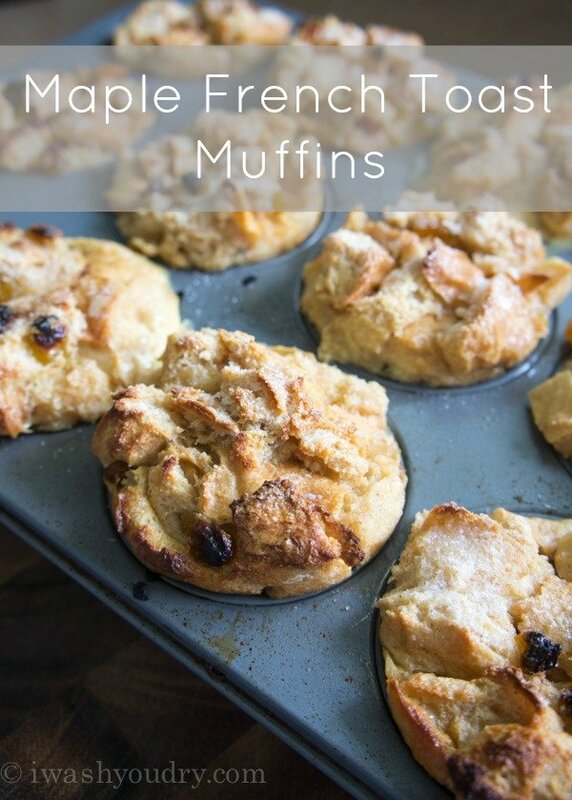 This recipe was awesome! I used it for my 2-year-old’s brunch-style birthday party this past weekend and it was a huge hit. 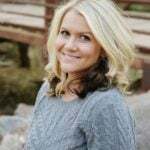 Thanks for the recipe, love your blog! What an absolutely awesome looking breakfast casserole girl! 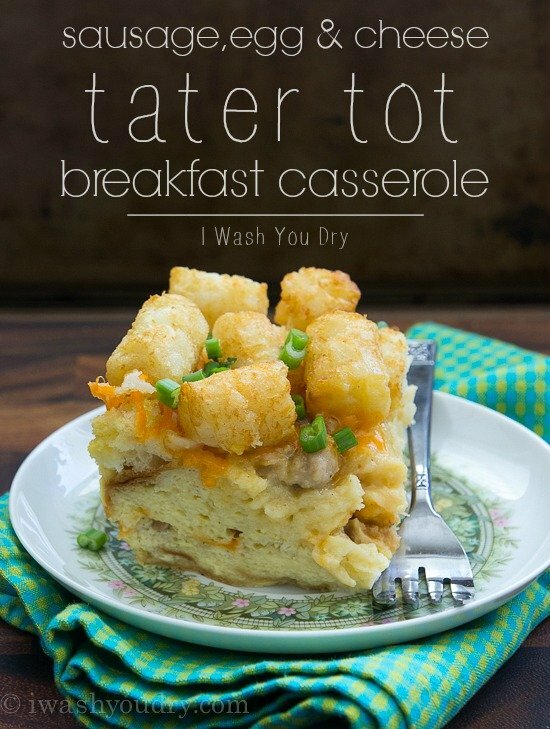 I love the tater tots added to the top for the potato! I puffy heart love tots!!! 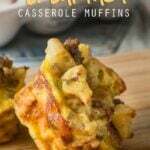 This breakfast casserole is yummy! Breakfast is my favorite meal of the day, but I never have time to eat it during the week. 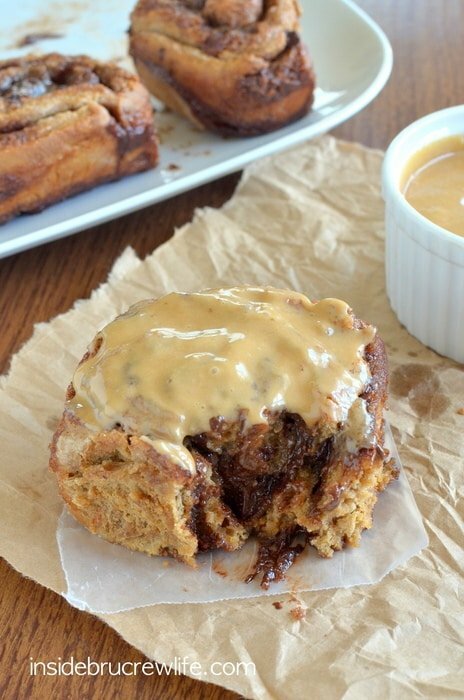 This looks like the perfect solution to my mid-morning hunger pains. Thanks for sharing this– I will have to give it a try!